Chances are that you feel strongly about certain issues confronting society today. Perhaps you strongly believe in environmental protection. Maybe you think stem cell research is wrong. From support of human rights to opposition to the gambling industry, there are a number of political policy positions to hold. However, no matter how much support you verbally express for a position, there is a chance that you are undermining the very things that you stand for by investing in a way that gives money (and increased power) to the causes that you want to fight against. If you are interested in putting your money where your beliefs are, you can become involved with socially responsible investing. 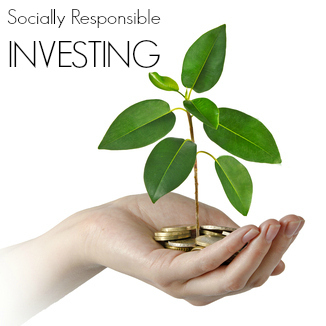 Socially responsible investing is all about being conscientious about where you invest your money. You think about your ideals and priorities, and then invest in companies and assets that reflect those ideals. At the very least, you make it a point to avoid investing in ventures that are in direct opposition to your closely held beliefs. How Do You Know Whether Your Investments Reflect Your Values? Once you decide that you want to invest in a socially responsible manner, you need to figure out which investments are in line with your priorities – and which probably ought to be dumped. One of the first places to look is in your mutual fund holdings. You might be surprised to find that the mutual fund that you invest in has holdings in companies you might not agree with. Someone devoted clean energy projects might be horrified to find that many mutual funds invest in big oil companies. Likewise, those against tobacco might be shocked to discover that their investment dollars are supporting Philip Morris, a popular company amongst mutual funds. If you are looking for funds that are likely to match your particular values, you can look at the USSIF web site, as well as visit SocialFunds.com. GreenMoney.com provides a look at companies that support sustainable practices, and environmentally friendly investing. If you are more interested in Christian/Bible based investing, New Covenant Funds provides you with the opportunity to help charities, and invest in line with the Presbyterian Church and GuideStone Funds offers a variety of Christian-based mutual funds. If you are interested in investing according to the principles of Catholicism, there are the Ave Maria Funds, and if you are follow the Islamic faith, there are Amana Funds. With a little research, you can get an idea of which companies and funds reflect your most important values, and choose to invest in those assets. Whether you are interested in fighting poverty in Jewish communities, or whether you want to support efforts to develop clean energy, there are funds and individual companies that can help you invest according to your values. It’s important that you perform due diligence before you make any investment decision. Even if you really want to support a cause with your investment, it’s vital that you do a little background check. Read the prospectus for a mutual fund before you invest, and read up on it. If you want to invest in a company, check the financials, and use a stock screener to double-check performance and other factors. There are plenty of scammers out there willing to prey on your desire to make the world a better place with your investment. Don’t invest in something someone else approaches you with. Instead, go out and find a legitimate company or fund with solid prospects to invest in. With a little research, you can ensure that you aren’t profiting from positions you find morally untenable. What other socially responsible funds do you like? Leave a comment! This article was originally published January 24, 2013.